Diana Souhami’s biographies explore the most influential and intriguing of 20thC lesbian (and gay) lives. The subjects of her unflinching eye include Radclyffe Hall, Garbo, Cecil Beaton, Gluck, and queens of the Parisian demimonde: Natalie Barney and Romaine Brookes. 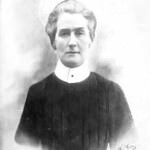 She has also written about the nurse Edith Cavell, and the story of her stay on ‘Robinson Crusoe’ island. Her latest book, Murder at Wrotham Hall, examines the case of a murder that took place in Kent shortly after WWII. All her books from Gluck to Coconut Chaos are being rereleased by Quercus in February, in paperback and Kindle formats.